The transmission is one of the most important parts of your vehicle. It’s what gives power to the wheels to propel your car forward. If your transmission isn’t working properly, then the car can’t move, leaving you stranded in D’Iberville, Gulfport, or Hattiesburg. That’s why we provide transmission repairs nearby at Pat Peck Kia. Below, we’ll tell you some signs that indicate a transmission repair is warranted. 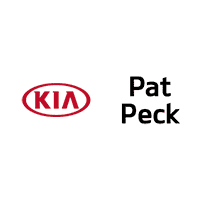 If you’re ever asked “Where can I get a transmission repair near me”, Peck Kia has you covered. When Do You Need Transmission Repair? Problem shifting gears: If there’s a hesitation when putting the car into gear, or it falls out of gear when driving, then there’s an issue with the transmission. Unusual noises: Your transmission is usually in trouble when you hear whining, buzzing, or clunking noises. If your car is particularly noisy when in neutral, then the transmission needs to be looked at soon. Cloudy and burnt transmission fluid: Transmission fluid is usually bright red with a slightly sweet scent. If the fluid turns dark and opaque and smells burnt, it means it’s getting old and causing the transmission to overheat. Low fluid level: The transmission doesn’t consume or burn up fluid during use. So, if the fluid is running low, then it’s almost always because of a leak. If you see bright red fluid under the car, then you’ll need to get it checked out as soon as possible. Warning light appears: When a warning light appears on the dashboard, there could be an issue with the transmission or some other part of the car. So, you’ll want to have it looked at by a professional sooner rather than later. If your automobile experiences any of the above warnings, then being it to a reliable service center as soon as you can. At our state-of-the-art service center, you’ll find highly trained and certified technicians. These individuals have years of experience working with transmissions. 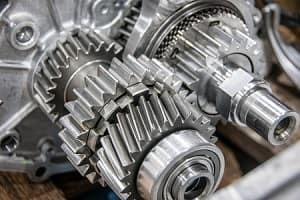 Because of this, they can determine if your transmission needs a simple repair or a complete replacement. No matter what, we’ll only use genuine parts for the job. This means the transmission will be the quality and fit your vehicle needs to run well for a long time. 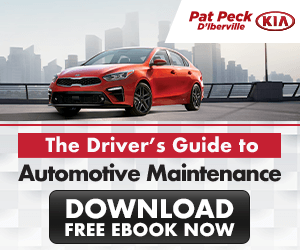 If your transmission is experiencing issues near D’Iberville, Gulfport, or Hattiesburg, then schedule service at Pat Peck Kia today. Either give us a call or make an appointment online, and we’ll confirm a day and time that work for you. So, don’t wait. Schedule transmission repair today!